So after I can animate, now what? pt.1 I had an idea for pt. 2, but there were some great questions posted in the comments section, so I thought I'd answer those (as best as I can) as an additional part. "It's really exciting to reach that level where you really have to think about performance only" - Can you give a rough estimate of how many hours sat behind a computer animating it would take to get to this stage? Unfortunately no. It is so subjective, there is no time line or time estimation that you can use. If I say "a lot of hours", what does that mean? For some people "a lot" is 9 hours a day, for others it's 15 hours a day. And for some 3 hours are a lot, because what if you have a day job plus a family? Within that world 3 hours spent on animation alone is a lot. Then you have to consider the individual animators. Some are really talented and it's just in their blood. Others are not that gifted and need to make up for it with a lot of work. So again, "a lot" is very subjective. But I am going to make an assumption that if you've never done any type of animation and you're just starting out, regardless of how talented you are, it will still take "a lot" of hours. It won't happen overnight. What's important I think is to get a lot of feedback from people regarding your work. You need to be able to accept critique, regardless of how harsh it might be. Find out what works and what doesn't by asking people for feedback. Don't think that you're the greatest animator and that you don't need help, because as you're thinking this someone is graduating from school at the same time who is already better than you are. Accept it and don't be above feedback. You will always learn something new. I would suggest you try out different ways of planning and blocking out your animation. Find a workflow that won't hold you back. And finally: practice, practice, practice. Also, if you can give a basic structure of how you would effectively go about attaining this level of skill (i.e a list of exercises to master in a hierarchical order of difficulty) that would be really great. Start small. Start with the basics. I always recommend the bouncing ball. I would read the post "What should I animate? pt. 2" for a good list and order of exercises. Basically practice until you have a very good grasp of the technical aspect of animation, so that you can concentrate on the performance instead of having to concentrate on the technique. It's about the why, not the how. The motivation of a character is more important than how he is moving. You can have beautiful animation from a technical point of view, but if the audience can't connect with character, can't identify, if your character has no personality, then what's the point? 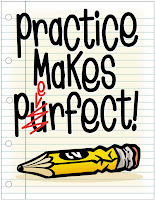 Do you simply recommend more practice,practice,practice and study? But again, some people don't have to study as much as other people. Some just dive right into it and are able to do it. Others need more studying. I love reading and studying about human behaviour, movement, acting, etc. A lot of stuff is not applicable to animators, but it's still really interesting to me to do research. But the best study is the observation of every day life. I would put that on my #1 thing to do. Would you say some people may just not reach a point where their animation is that good? I wouldn't say never and it also depends on how you define "good". "Good" on a feature movie is different than "good" for a TV show or video game or whatever. It depends on the deadlines, the budget, the target audience, etc. I think with a lot of practice anybody can reach a technical level that is good. But what sets people apart is what comes after that. It's the acting ideas, the creativity. Some people are just mindblowingly good at coming up with interesting choices. But I can imagine that there might be a few animators out there who will struggle for a while. It's not for everybody. But I wouldn't give up. I realized after posting that feedback is also probably very important to your development as an animator. Otherwise, I sense that you can keep making the same mistakes over and over and not really figure out what your doing wrong without A LOT of observation. That is absolutely true. I mentioned it before but it's worth repeating it again. Get feedback!! Ask friends for feedback. Go to forums online for feedback, use the 11secondclub, etc. Once you work in a professional environment it's as if you're getting a second education. At least that's how it was for me. When you sit in dailies and you see those amazing shots and you hear how veterans take the shots apart and how the team comes up with ideas to make them better, it's a revelation. You learn so much at work, it's fantastic. Definitely bring your notebook to dailies, even if you are not presenting a shot. Your probably going to tell me 'Hey, Animation Mentor offers just that kind of critique!' but I've already been through their entire program once and certainly can't afford to do it again! I thought it was a great school but being a complete novice when I started it wasn't until I was someway through the course that I started to 'get-it' in regards to the principles, workflow and even a firm handle on the software, etc. that my animation started to improve. I would say that this will happen no matter where you go. If you're a novice then the first lessons or courses or books you're reading won't make as much sense as they will a few months into it. That's unfortunately the price that you have to pay. Obviously the best case scenario would be that you know the software by heart and that you already understand the principles of animation before you start a serious animation education. But how many people can afford that approach (not just financially but also time wise)? But now that you "got it" you're free to think about the character. Why is he/she/it doing this? What did the character do before that shot? What will come after? In what state is the character? What is the character thinking while doing what he/she/it is doing? etc. Color Keys for Pixar's "Up"